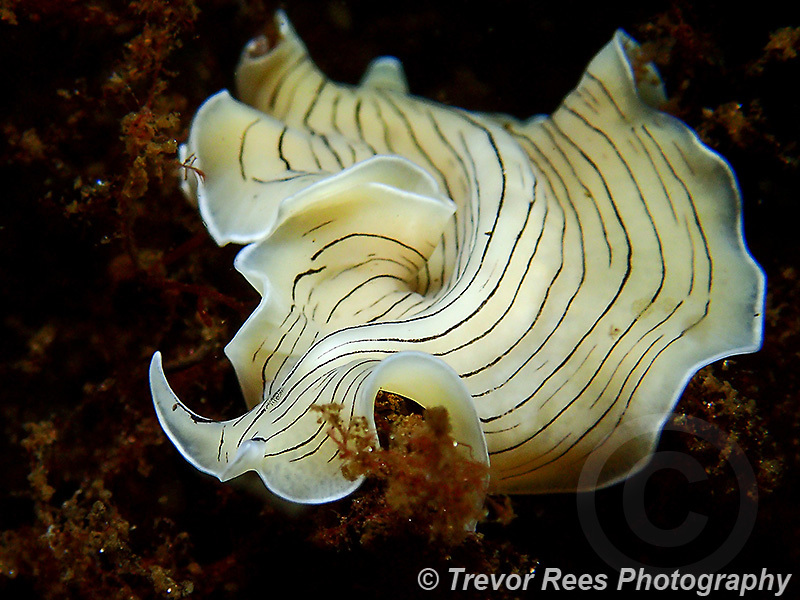 An image of a candy stripe flatworm (Prostheceraenus vittatus) taken for an 'on the day' photo competition. This was a new style of 'Splash in' competition organised by the British Society of Underwater Photographers, aiming to attract photographers from all over Britain. 55 photographers took part and all were free to dive anywhere in the British Isles. The only restriction was that images had to be taken within a restricted 24 hour period on a given day. Taken from a dive at Loch Long in Scotland with an Olympus TG-3 camera. Voted winner in the Compact camera category.